The crenelated ramparts, the towers, the long walls down to the village, all lend themselves to medieval impressions. The best part is, you can walk right to the base of those walls, stare up, and wonder what kind of nerve it took to attack such a place. Madness perhaps? As you can see, there are multiple layers of defense, a gatehouse, a keep, all the trappings of a well designed fortress. It is compact, making it easier to defend with a smaller force. 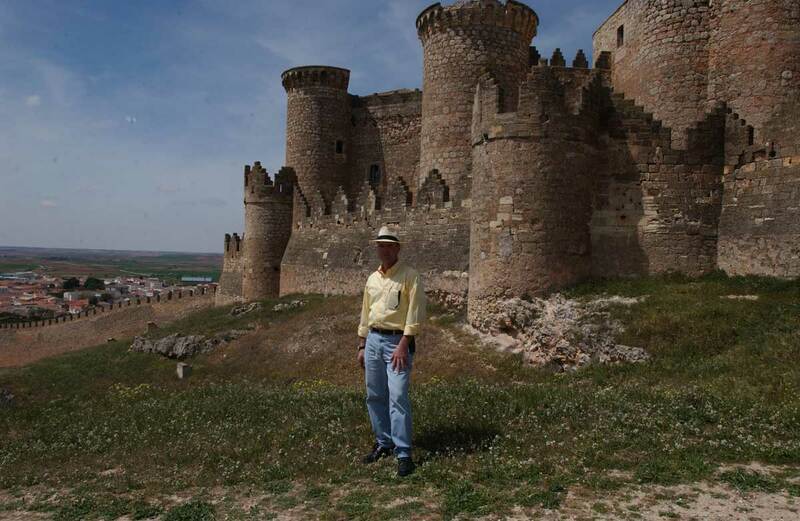 This castle, like so many of them, sits at the top of a hill and overlooks the town and surrounding plain. It would be a challenge to sneak up on this place. Again, I’m not interested in someone pouring boiling oil down on me. I’ll hold off until the battles over and the celebration begins. 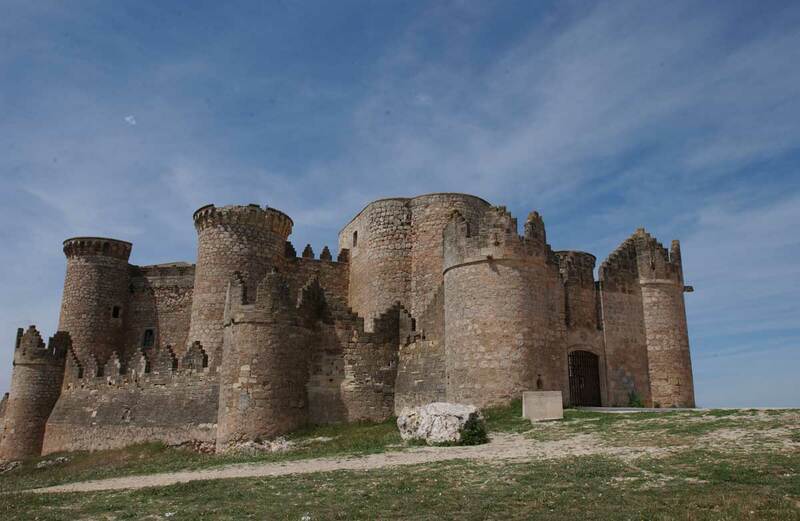 In another post I’ll show the castle at Ballesteros de Calatrava. Stay tuned. That’s a beautiful castle…were you able to go inside? I am always amazed because castles look so nice and Hollywood tries to make them sound so nice but in reality they were cold and damp. Castles were built for protection; not for comfort. I agree with you; I am glad castles are no longer used.